Some candy names are pretty straightforward (we love you, SweeTARTS), while others are a bit more obscure. Here, we unwrap the name origins of a few delicious favorites. In 1926, F. Hoffman & Company of Chicago set out to make perfectly round chocolate-covered caramels. The manufacturing equipment didn’t quite cooperate, however, and what came out were oval-shaped candies. A worker pronounced them “duds,” but everyone agreed they still tasted good, so the company kept producing them under the playful name. Two years later, the Holloway Company bought out Hoffman and brought Milk Duds to the masses. When Franklin Mars, founder of the Mars candy company, needed a name for the new candy bar that would follow his wildly successful Milky Way bar, he turned to the family stables, of all places. Snickers, named after the family’s prized horse, came out in 1930 and was an immediate hit. According to the company, it’s the best-selling candy bar of all time. 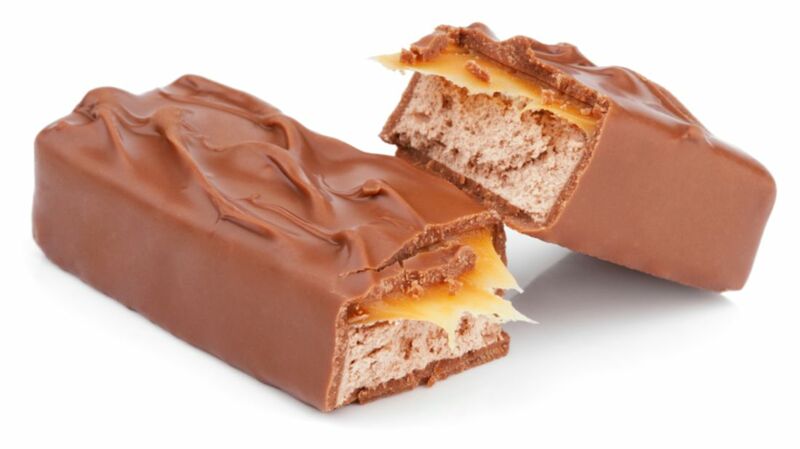 Fun fact: Until the ‘90s, it was called a Marathon bar in the United Kingdom. This one’s loaded with peanuts, caramel, and controversy. In 1921, Otto Schnering of Chicago’s Curtiss Candy Company reformulated his signature Kandy Kake bar (he took out pudding, for starters) and renamed it Baby Ruth. This was during the apex of Babe Ruth’s reign as a major league slugger, and many speculated that Schnering had capitalized on Ruth’s name while avoiding royalty payments. In 1926, The Babe himself entered the candy business, and came out with “Ruth’s Home Run Candy.” The Curtiss Company sued, claiming copyright infringement, and noting that Baby Ruth was actually named for President Cleveland’s daughter. This was an odd defense, considering Ruth Cleveland had died of diphtheria in 1904, but the court upheld Curtiss’s claim, ruling in 1931 that the ballplayer had profited off the popularity of a candy bar that, in all likelihood, borrowed from his own nickname. The name’s not as literal as you might think. James Welch, founder of the James O. Welch Candy Company in Massachusetts, named the chocolate-covered mint creams after his favorite Broadway play, Junior Miss. Based on a series of stories about a meddlesome young girl living in New York, the play ran from 1941 to 1943, and was a household name by the time Junior Mints came out in 1949, with a film and radio version (featuring Shirley Temple) reaching mainstream audiences. Leo Hirschfield, the inventor of the chewy, chocolatey candy, named them for his 5-year-old daughter, Clara, who he called “Tootsie.” It was a popular nickname at the time, and appealed to penny-toting children who bought up Hirschfield’s individually wrapped treats. You might reason that the inventor was a big Alexandre Dumas fan. And you would be wrong (well, mostly). The name refers to the three different pieces of candy that used to be inside each package: chocolate, strawberry and vanilla. First released in 1932, the company ran into production troubles during World War II, when vanilla and strawberry flavoring were hard to come by. So the Mars Company phased those out in favor of chocolate. Over the past several years, 3 Musketeers has dabbled in flavor extensions, including mint, strawberry and cherry. These days it’s a quirky, kid-friendly candy known for a wide variety of dispensers. But in 1927, PEZ was a breath mint for smokers. Invented by Austrian Eduard Haas III, the name refers to “pfefferminz,” which is the German word for peppermint. The first PEZ dispensers, called “Box Regulars,” were shaped like cigarette lighters, and came with notes encouraging smokers to quit. It wasn’t until the ‘50s that PEZ, eager to expand its U.S. market, came out with fruity flavors and dispensers targeted towards kids. The two Ms signify the candy’s inventor and his benefactor: Mars and Murrie. Forrest Mars developed M&Ms while in England during the 1930s—supposedly after observing a similar candy carried by Spanish Civil War soldiers. He then went to Bruce Murrie, son of Hershey Company president William Murrie, and gave him a 20 percent stake in return for backing his new candy. Murrie and Mars parted ways in 1949, just a few years after M&Ms first came out, leaving Mars as the sole “M”.